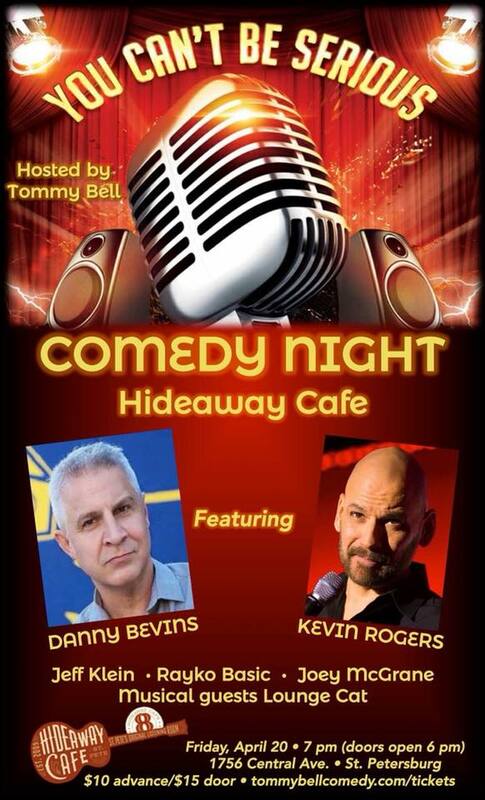 You Can't Be Serious Comedy Night at Hideaway Cafe, hosted by Tommy Bell. Featuring comics Danny Bevins, Kevin Rogers, Jeff Klein, Rayko Basic, Joey McGrane and musical guests Lounge Cat. Friday, April 20. $10 advance/$15 at door.